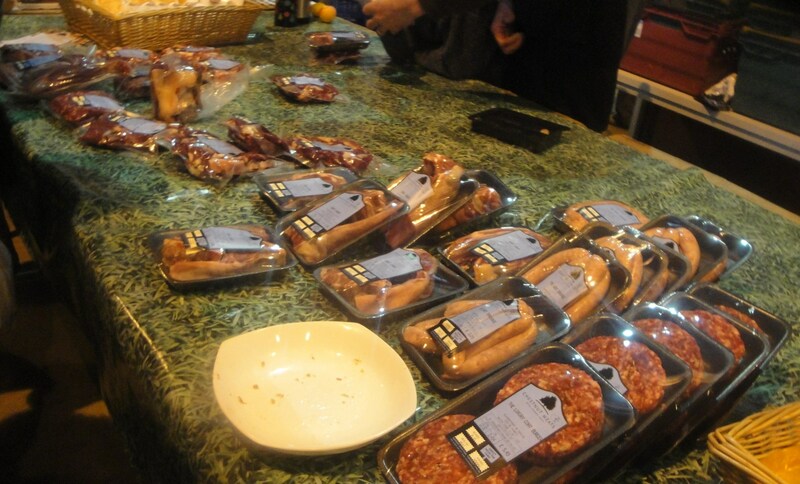 Today we are at home using some of the produce that I purchased at the Bakewell Farmers Market last month. 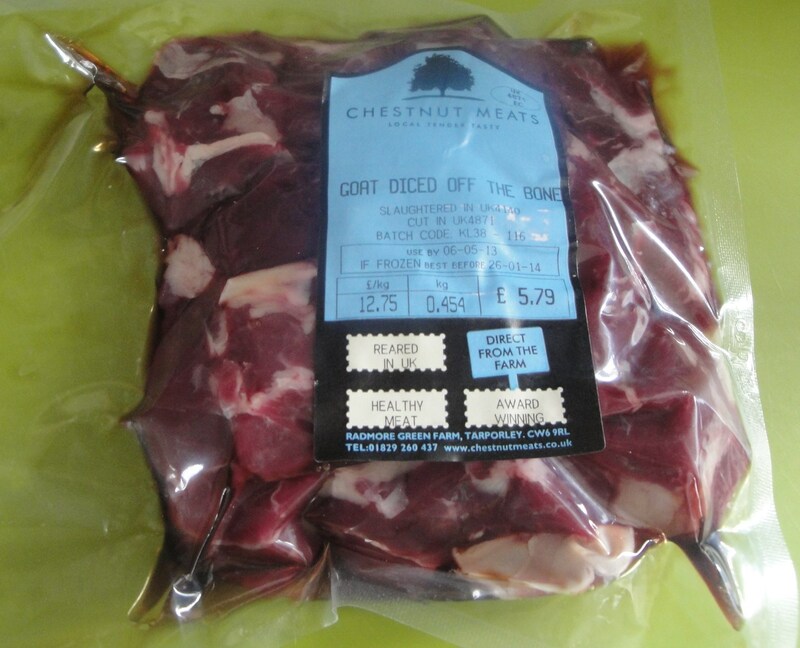 I had bought some Goat Meat from the Chestnut Meats stall which came with a recipe for Goat Curry, so that is what we are having for Sunday Tea. Not your usual Sunday fare but in this house we don’t always stay on message at meal times. 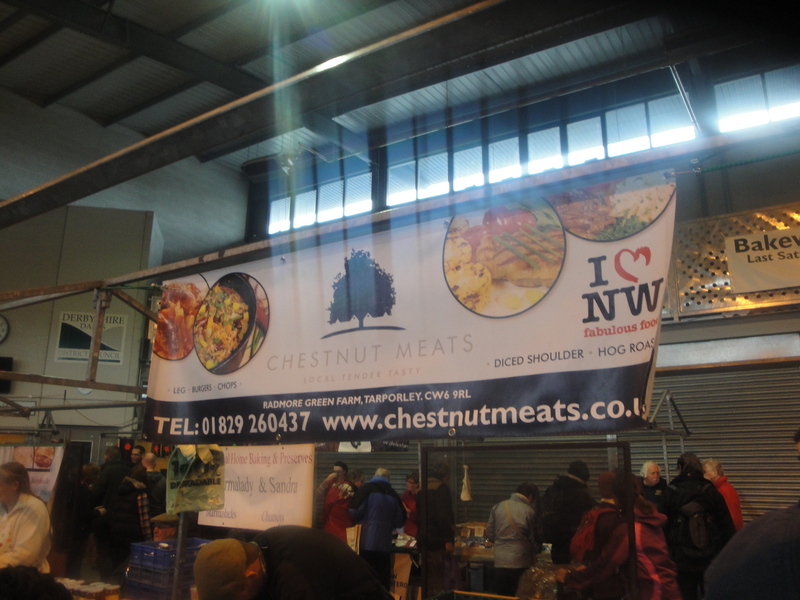 Before we talk about that Curry lets just step back to last weekend’s market and the Chestnut Meats stall. “Our mission is to be the best goat retailer in the UK, providing quality, consistency and innovation”. 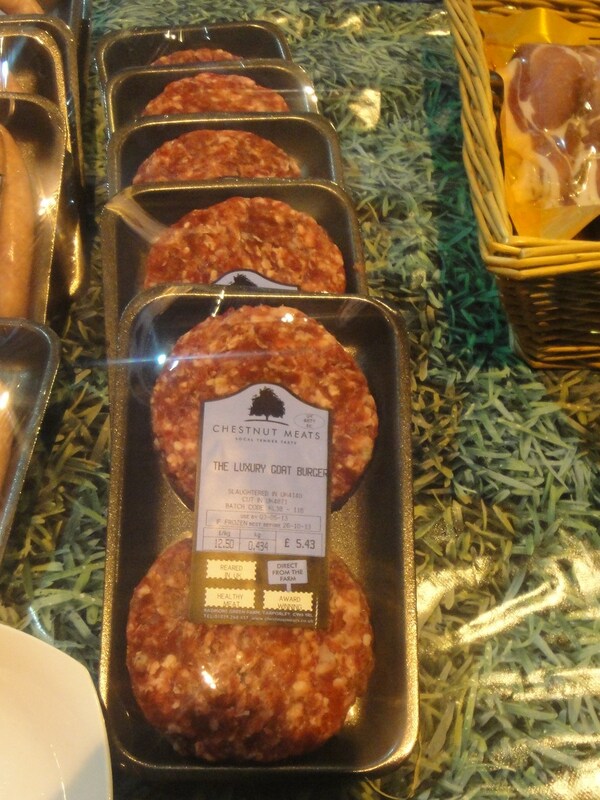 I found them at the Bakewell Farmers market at the point when I was growing weary of seeing one more good looking pack of sausages after another (by now I had 3 packs in my bag already) and was really hunting for something different. I struck Gold on their stall where I found a pack of goat meat, and not only that, on the back of their leaflet was a recipe for Goat Curry. Well I was sold on that, going all in. Even more so when a very enthusiastic West Indian lady after hearing me talking about making curry started to give me her family recipe. Everyone at these places is just picking up stuff and thinking about eating it, I love it. Move on a week and it was time to make that curry! 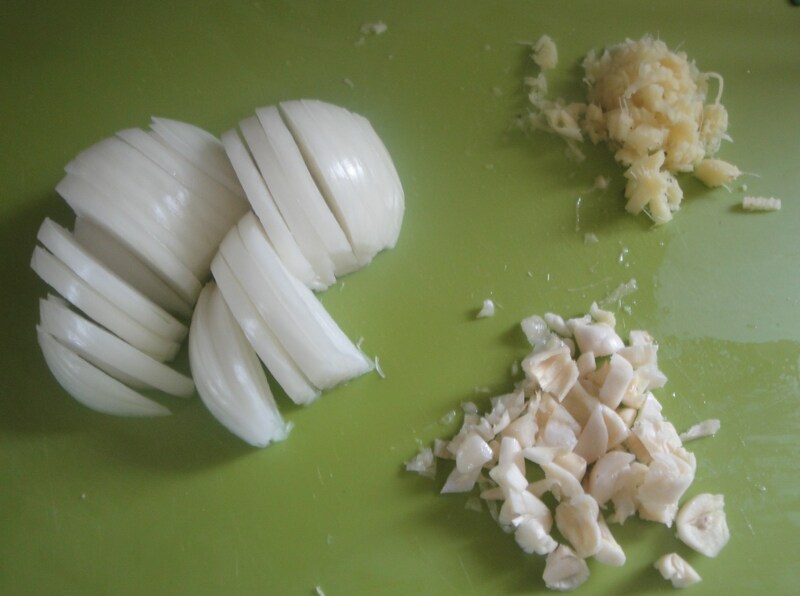 It was going to be a mammoth job taking about 4 hours to cook the goat until it was tender, but before that there was a bit of basic preparation to get done. 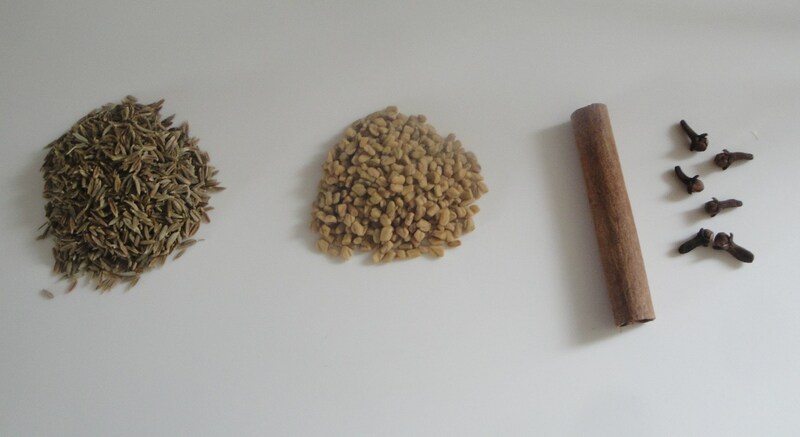 The basic set of ingredients was onion, garlic, ginger, cumin seeds, fenugreek seeds, cinnamon stick, cloves, cardamon, curry powder, chilli powder, and paprika. 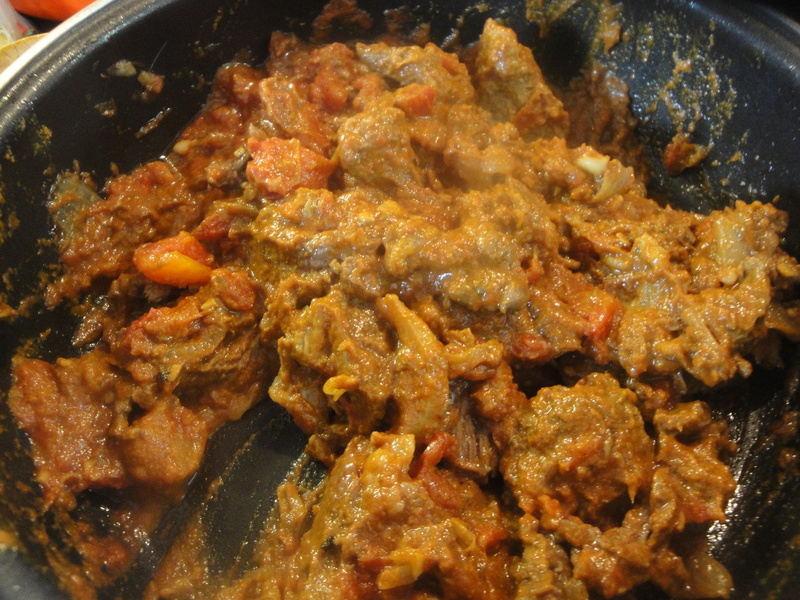 Add to that the goat meat, water, and a tin of tomatoes and you are looking at being just 4 hours away from a really tasty Goat Curry. 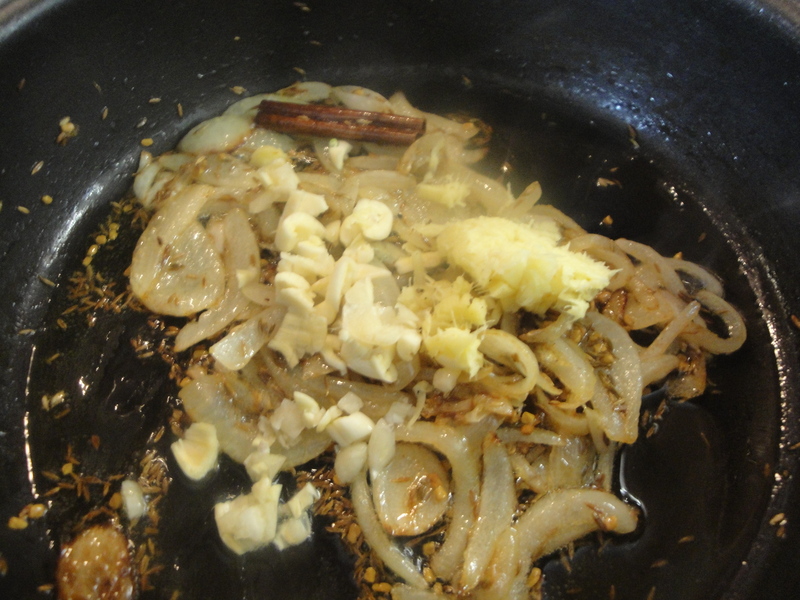 Step 1: Cook the onions, until soft, then mix in the cumin, fenugreek, cinnamon, and cloves, and cook until the onions are browned. 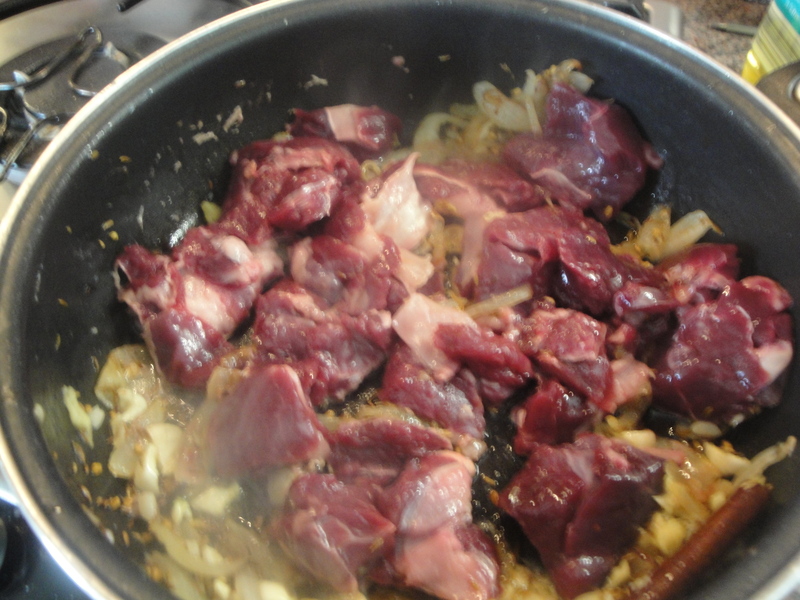 Step 2: Add the Ginger, Garlic, (fry for 30 secs) add Goat Meat and cook gently for 10 minutes. 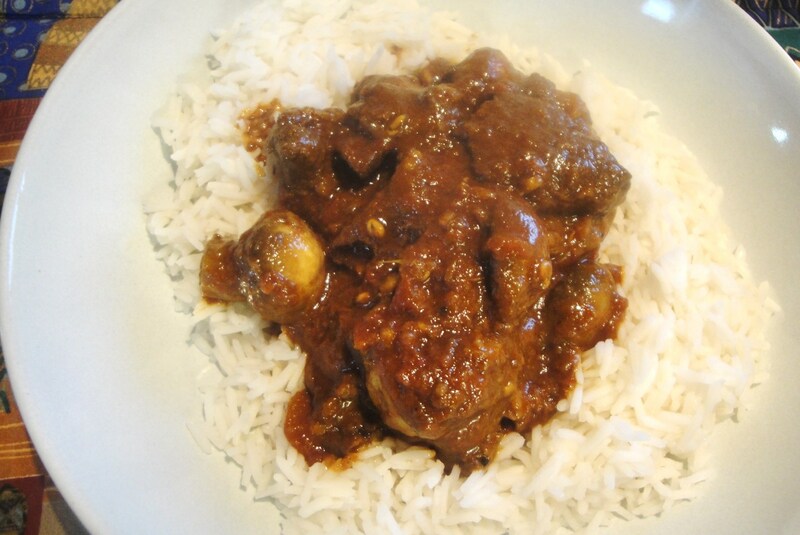 This is a very simple curry to make, but it is incredibly tasty and delicious. 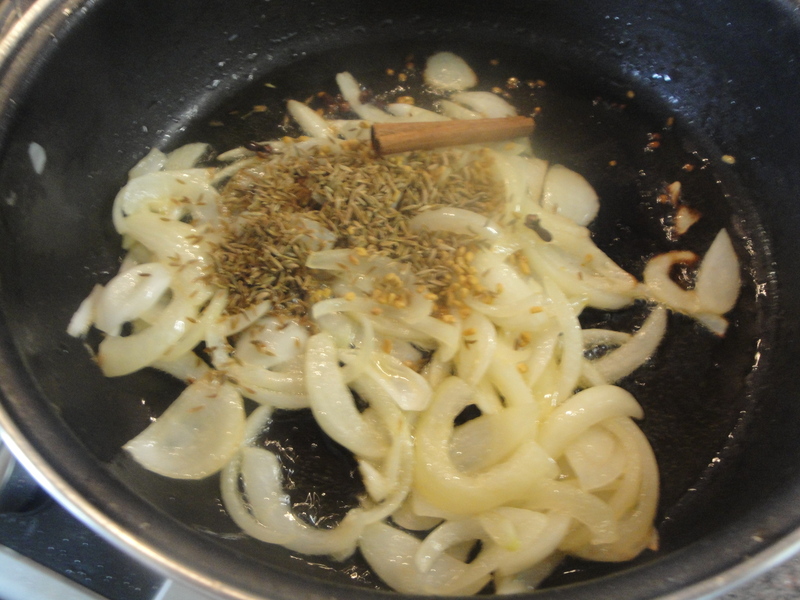 There are amazing smells emanating from the pot as you cook it. 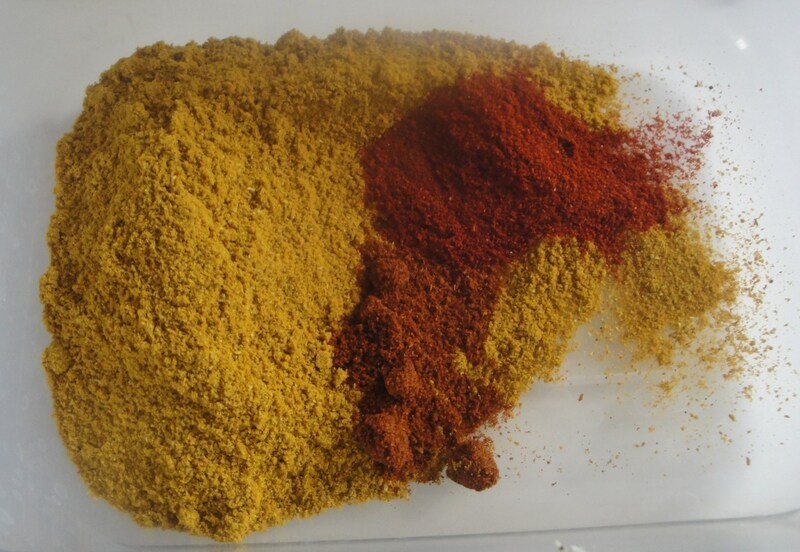 The ginger and garlic aroma releases early on, then the spices combine and fill the room with curry fragrance that makes the mouth water. 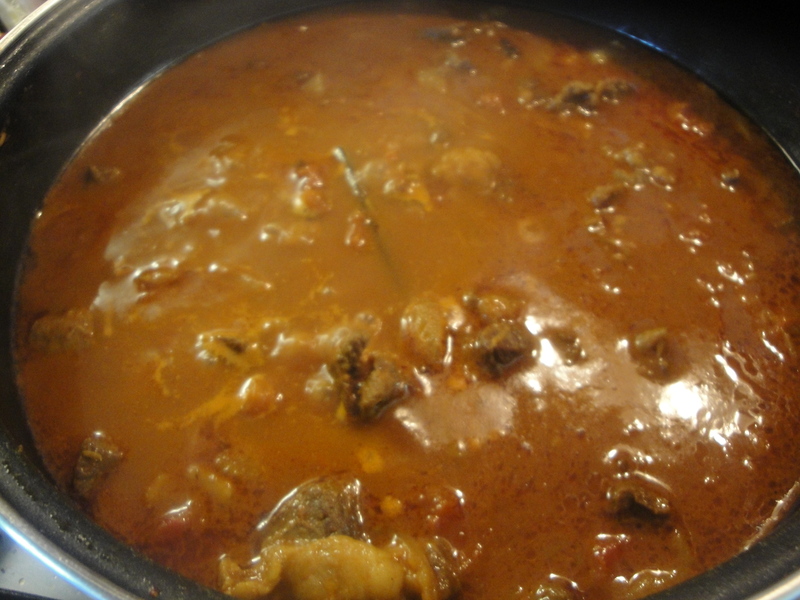 Consumption of the meal itself was an even better experience, the flavours were quite delightful, rich, tangy, thick, well spiced brown gravy with chunks of soft tender goat that fell apart in the mouth. The curry was reminiscent of some excellent lamb based curries that I have been acquainted with in the past. 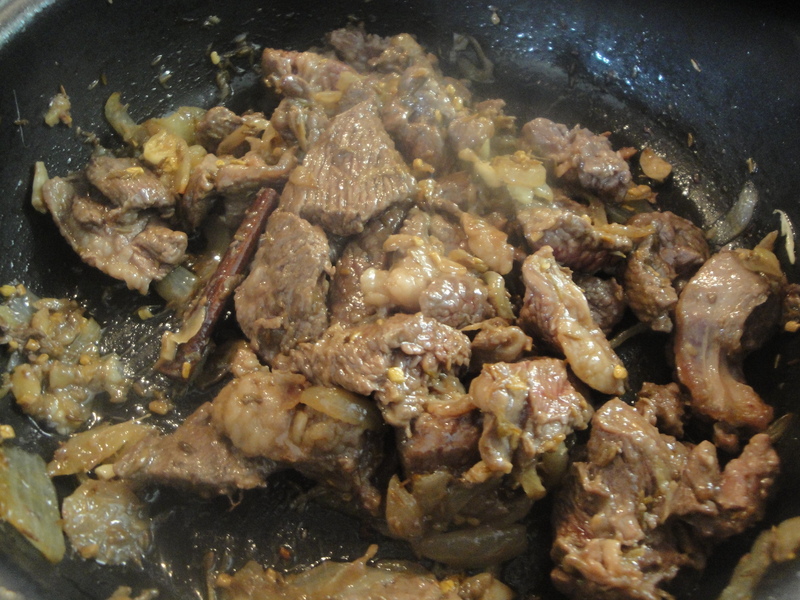 The substitution of goat meat was just perfection. A great use of an excellent product .